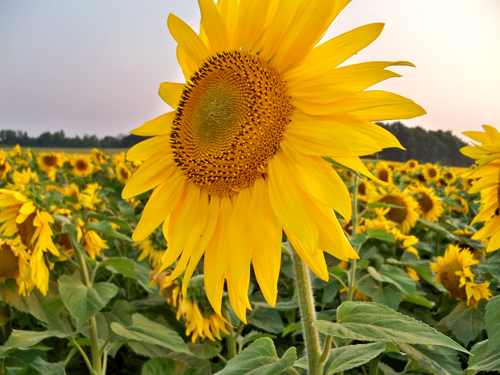 There is a sunflower field on Calkins Road that I was determined to get out and photograph. It was getting late in the evening when I got there, and I missed the best light but I still took a few shots. Aaron took a few pics too and we both shot some video. I recommend if you don't like bees you skip the part between 2:25 and 3:54... Tina this means you. Although Tina did pretty well when I showed up at work with this necklace on. I like honey bees (maybe because I like honey so much?)... especially the big fat lazy ones that graze on sunflowers. Here is the video. 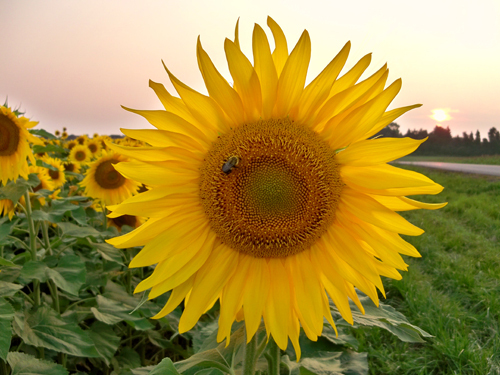 Sunflower Field from Jennifer Cisney on Vimeo. Very Cool. One doesn't see sunflower farms that often in the Bay Area. Do the petals close up in the evening? 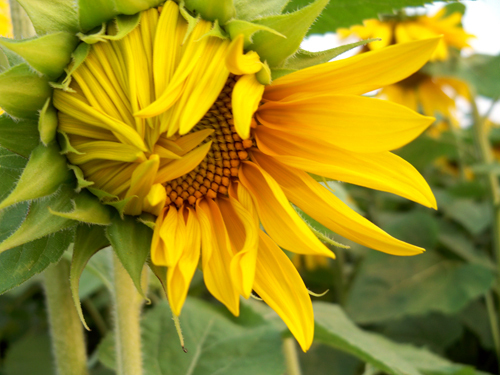 I noticed this also happening in the sunflower photo you took awhile back. And what I really want to know is whether the farm sells sunflower seeds, oils or any products? I love sun flowers! The sun flower filed is stunning! 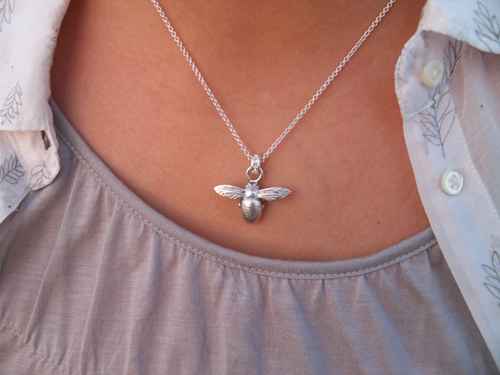 Can you tell us where you got the necklace? Ok, CMON! That's just way too much BEE video! Seriously though, very creative and beautiful. Linda - the only thing I have seen the farm sell is cut sunflowers. Becky - I got the necklace at Fossil... the watch company! Sunflowers are my favorite. I've seen a lot of photos of sunflowers but none as beautiful as yours!! I grew mammoth sunflowers like these this summer! They're excellent to watch grow. One of mine grew to be about 7 feet tall. They open up and stand beautiful for a couple of days. After that they start to droop over and their centers fill with seeds you can harvest! What beautiful, cheerful pictures! I'm so glad you took the time to share them. Thank you! Sunflowers and Regina Spektor - that stellar combination totally cheered me up!! i am also fond of bees (see my screenname). Love the pics. Such a nice pop of color. I like the one photo in particular where it looks like the sunflower is trying to hide. It's like it's thinking "oh no not another picture of me. I know I am beautiful." Lol. Where were these taken exactly? 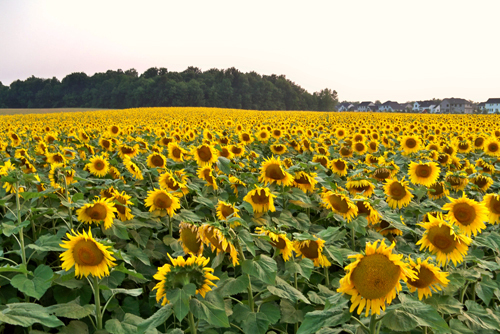 I LOVE sunflowers and would love to plan a trip out to see this field when it's in bloom this year. Ashley - the farm moves the locations every year but it's always off of Clover past Jefferson.